– Our highly qualified, patient instructors are not only college/university educated musicians, but are also experienced in both teaching and performing. We offer instruction from some of the most renowned Bay Area musicians in various genres, including: Rock and Roll, Jazz, Latin and Classical. CLICK HERE for more information on our current instructors. – We save families time (and money) by offering lessons on multiple instruments in one convenient location. Since all of our scheduling is handled by one administrative office (not by individual instructors), families can schedule lessons for the same day and time for all of their children (and parents, too!) eliminating the stress of driving from one location to another, or making multiple trips to the same studio. 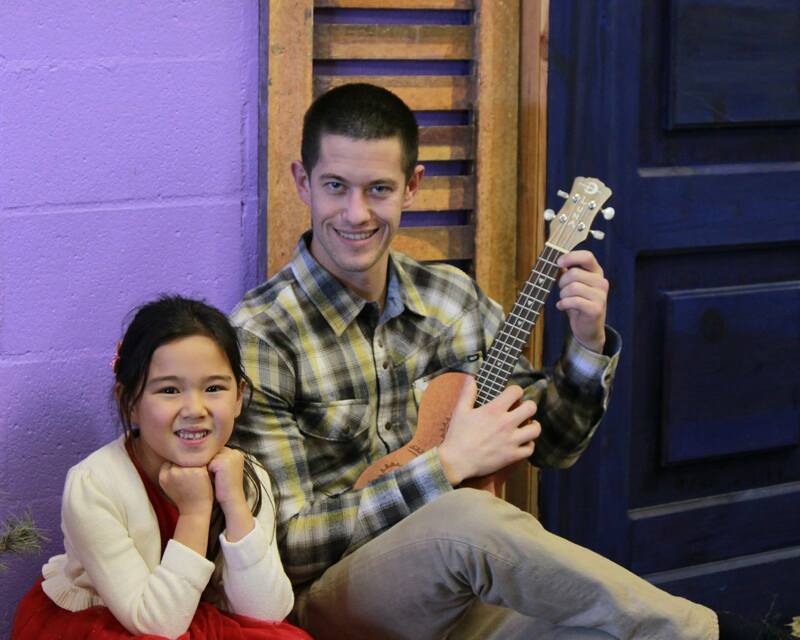 – Lessons on all instruments are regularly taught to both children and adults at Music Time Academy. Whether you are 5 or 105, it’s never too late to learn (or re-learn) a musical instrument, or to hone your musical skills and technique with the help of a professional instructor. – Our students have the option to participate in free, fun concerts, organized by Music Time Academy at least twice per year. Concerts help students of any age or skill level gain valuable performance experience, and showcase their talents and hard work to friends, family (and legions of fans). For videos and photos from recitals past, CLICK HERE. – We offer a variety of options for lessons to fit the individual needs of our students. Options include private or shared instruction (for siblings/relatives, friends or parent/child), as well as a choice in lesson length (1/2 hour, 45 minute or 1 hour weekly lessons), and flexible timing (afternoons, evenings, and weekends). Can’t make the same time every week? Ask us about other scheduling options. – Our instructors focus on fundamentals (like technique, basic music theory, note reading, etc.) that prepare students shine in any genre of music they choose to pursue, both inside and outside of the classroom. – We tailor our lessons to each student’s individual needs and interests. Want to learn a specific song, artist or style of music? No problem! Do you like the traditional approach to lessons? We can help! Would you rather focus on having fun and enjoying music? Us, too! Got a specific goal in mind (performing at a wedding or party, nailing an audition, etc.)? You’ve come to the right place! – Our acoustically treated, air-conditioned studio rooms create a comfortable learning environment for our students. As opposed to in-home lessons, that can pose many distractions, the studio environment is ideal for concentration. – Students can find books, instruments and accessories in our convenient retail store. All books used for lessons may be purchased at the studio. All instruments used for lessons (except pianos and drum sets) may either be rented or purchased through us. – Our friendly and knowledgeable desk staff is available to assist you during administrate hours.